Today you are going to read an interview with a person who is proving the infinity of human possibilities on the example of his own life. For 8 years Alexander Zhuchenko — the person interviewed — has been the creator, supporter and administrator of the ‘Deaf World’ website, which is a small internet realm where people with different degrees of hearing loss possess a unique opportunity of getting acquainted with each other, to communicate and to find out a lot of new and useful information. Late November 2012 ‘Deaf World’ has received the Runet Prize award — the second one since the website has been founded. However, it all wasn’t so good in the beginning. In the 90’s, when Alexander was young, he completely lost his hearing ability following a gunshot in his head. His life has certainly changed since then — he began to perceive the world in an absolutely different way. 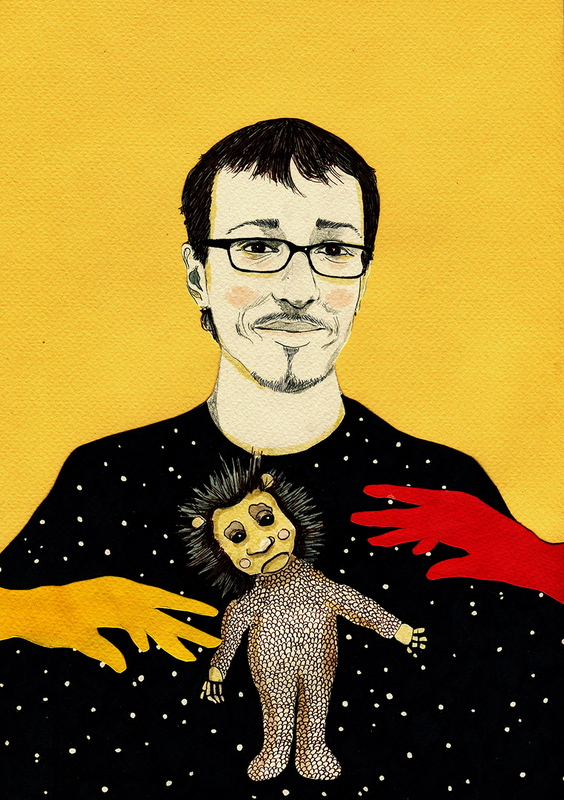 After losing his job, Alexander has independently studied programming and created the website above-mentioned, which is of national importance. On returning back to his hometown Nizhny Tagil from Moscow, Alexander has kindly agreed to give us an interview. In its course he is telling us about the changes that have occurred in his life after the loss of hearing ability, the related problems, etc. — The ‘Deaf World’ website and the corresponding fund were founded 8 years ago in order to improve the lives of people suffering from hearing loss. Has their life actually changed since then? — The ‘Deaf World’ was initially created with the purpose of connecting initiative people suffering from hearing loss. It was meant to change the attitude of the society not only towards them but those who are disabled physically. Once we even held a protest for increasing the number of programs with subtitles on Russian television. I even managed to discuss this issue on the telephone with Vladimir Putin. Since then there has really appeared more TV-shows accompanied by subtitles, and I think our role here is not the last. — Last year the government has launched a five-year ‘Free Environment’ program intended to extend the social abilities of the disabled. 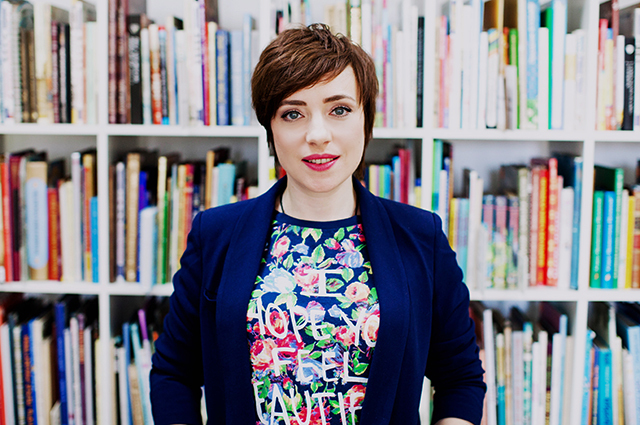 What do people with hearing loss need and what problems do they face in their daily life? —It’s quite early to speak in details about this program. Lots of good ideas have been voiced by the Government, but we can’t be sure of their implementation, especially here, in Russia. It is not unknown that projects concerning people suffering from poverty (including most of the disabled) are badly implemented in this country. — Do you know anything about similar social programs for deaf people abroad? Is there something we have to learn from our foreign counterparts? — I can’t say I’m well-informed about foreign practice in this area. It’s quite difficult to get a true-to-life image of the situation. Opinions and attitudes also differ. All I can say is that I’ve always been for being given an opportunity rather than resources. By this I mean that people should be given an opportunity to express themselves, to get good education and to work where they would like to, to rise from their knees, figuratively speaking. In our country most people think that everyone owes them something, and they keep on waiting until this ‘something’ falls down on their head, while the Government prefers only to support these people with money like they just want these people to get off their back. To my mind, the Government should give the disabled people an opportunity to achieve something in their life, to choose a job they’d like and to gain all the knowledge they need. The Government’s task is to create such conditions in the society where the disabled would be considered equal to ordinary, healthy people. — In your opinion, what attitude do Russian people have towards disabled people (and particularly, the deaf ones) and their problems? Are they emphatic for them? — I have already partially answered your question, and I will tell you more. It’s common practice in our country to think that if a person is disabled, he should know his place in the society – and it’s not a good one, you see. If a disabled person is still trying to lead a full life and doesn’t complain on his health, people don’t understand it, and try to stand aside him, mildly speaking. Certainly, as they say, not all bread is baked in one oven – not all people are the same, but in general it looks like this. 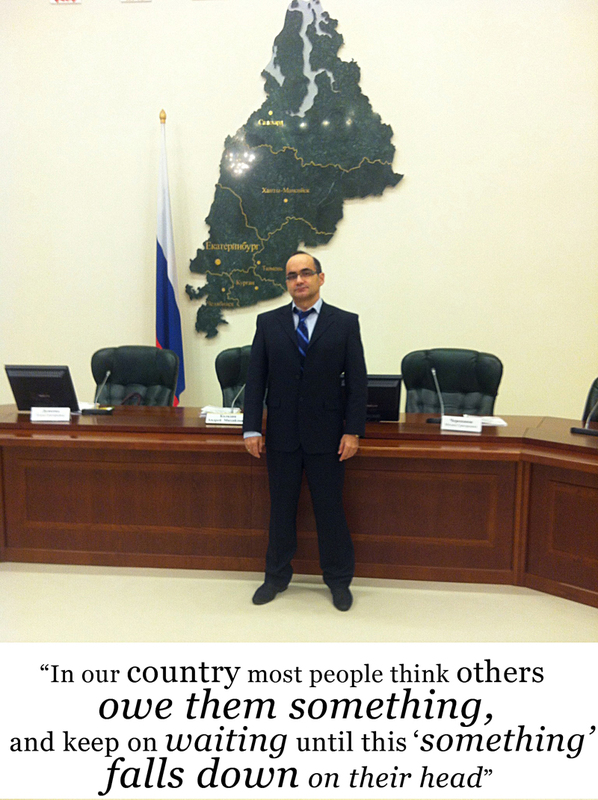 — In 2005, you became the member of the Council for Disabled People under the Chairman of the Federation Council. Following the information provided, for many years you have been cooperating with Sergey Mironov, the ex-speaker of the Upper Chamber of the Russian State Duma. Have you derived any experience from this cooperation? — It was interesting for me to see everything from the inside, to find out how new laws concerning the disabled are adopted. 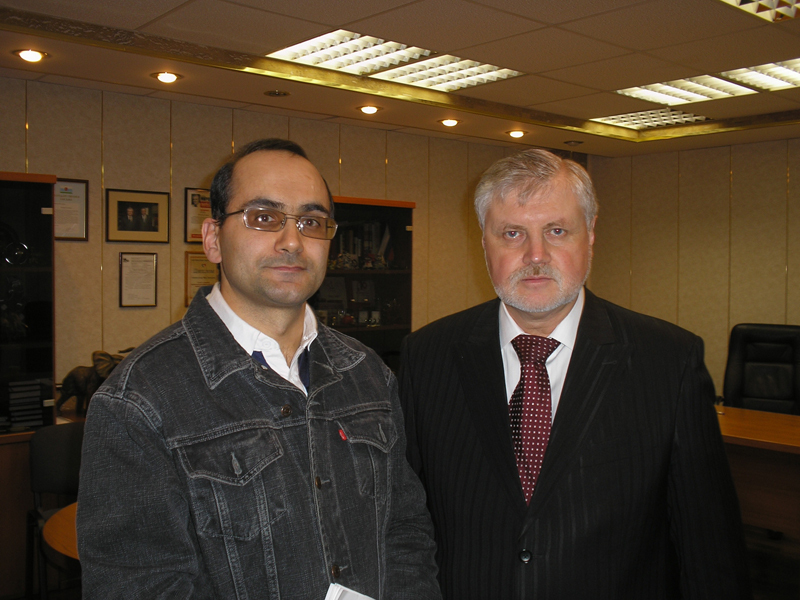 With Mr.Mironov, his moral and financial support, I managed to help many handicapped children. This person is of great appeal for me, because he is immediately rendering assistance, without empty words, without promoting his deeds by public performances that don’t make much sense. I consider him to be a very polite and good person. — This year you have won your second Runet Prize award. Let us sincerely congratulate you on this! What are your future plans for developing the ‘Deaf World’ website? —I don’t like to make long-term plans. Deafworld.ru is improving and developing, it’s on the run and I think I’m going to follow all the hearing aid sphere news. Also, I would like to launch 2 new websites: one – for the Ural region, where I live, another – for the whole country, of federal significance, for all kinds of disabled people, not only the deaf. 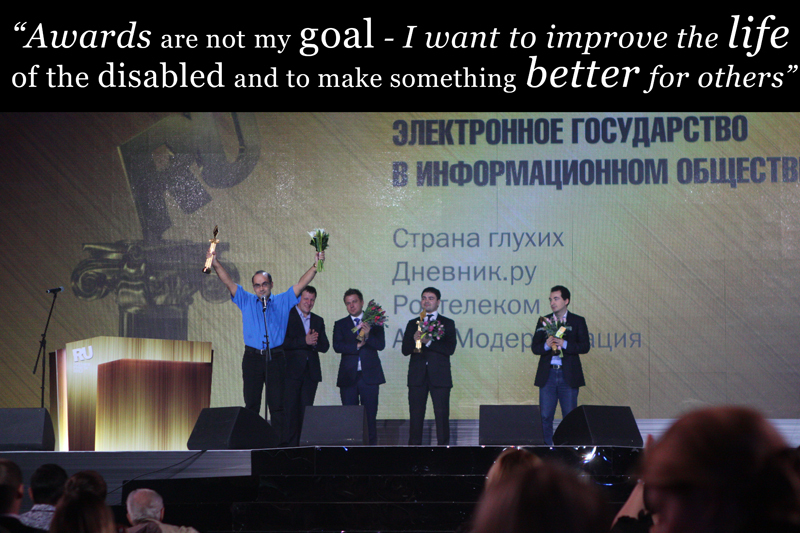 Awards are not my goal – I want to improve the life of the disabled and to make something new for other people. Something better. — How has your life changed since you have lost your hearing ability? — It wasn’t just a change. I became an absolutely different person, with different views and goals. I created a family. Moreover, I like the man I am now than the one I used to be. — Today many people, especially young ones, literally lame their hearing. They listen to loud music, attend gigs where the pitch of the sound is immensely high and harmful. Most of them understand that nothing can be done only when they begin to suffer from hearing problems. What advice could you give them as a person who has really faced hearing loss? — I know to my own cost that there’s no point in giving advices. Our careless treating spans not only hearing, but other sides of our life. We think that such bad things might happen to anybody except us. We’re wrong. — The happiest event/moment of your life? — There are two of them. The first one is my survival after a gunshot in my head and the fact that God has given me the second chance, some time to change my life. The second one is the day I met my wife Irina. — I’d like to become calmer and more reserved. I think it’s impossible! — What do you like best in yourself? — The place in which you feel best of all? —In a church or monastery. — Whom of the famous people you would like to meet? We mean the living ones. — Unfortunately, he’s not already with us. It’s Steve Jobs. I respect clever people. Those who are really clever, who remain the same as they were before reaching the top. — The country you’ve never been to, but would like to visit? — Who did you want to become in future when you were a child? — A musician. I love music. When I could hear, I played the guitar and the piano. I also sang very well though had no musical education and knew no notes. But at that time we had not so many opportunities to ‘break through’ as we have now. Nevertheless I once performed on the TV as a choir member! Now one of my favourite things is to look for old song lyrics in the net and to sing them from memory. When coming across lyrics of the songs I couldn’t have already heard, I create my own melodies for them! — What qualities do you like best in women? — Kindness and calmness. I’m lucky – my beloved wife has both of them. I could never live with a hysterical and evil-minded woman. — What is your favourite activity?